Only 10 people in the entire world have “Passion Fruit Creme Brulee.” That’s about to change. 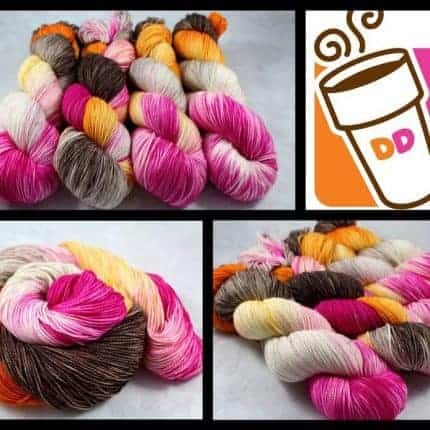 I released “Passion Fruit Creme Brulee” back in July 2016 as part of a yarn club. It sold out instantly, and the 10 people who received one loved it. It’s time for this colorway to come back — you’ve been begging me for almost two years, and I suppose it is time to give in!!! 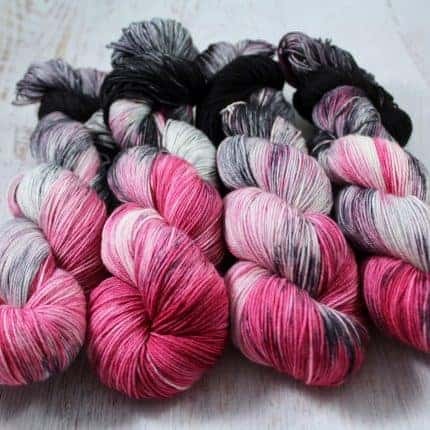 Preorders are open on EIGHT different bases, and I am limiting the number to 20 total skeins per base at this time. It’s selling quickly, so grab your favorite base before they are gone! 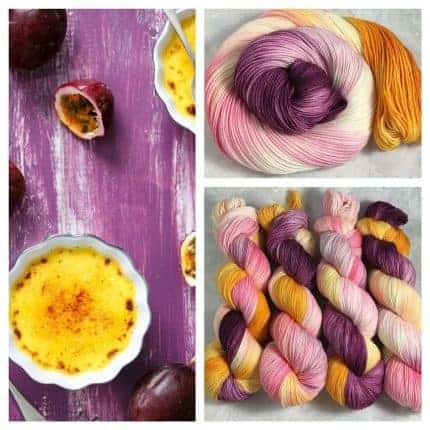 PLEASE NOTE: “Passion Fruit Creme Brulee” skeins are NOT ready to ship. These are on a PREORDER basis, and will be dyed and ship on or before mid-May 2018, after I get back from Munich and Allentown Fiber Festival, but before Long Island Fleece & Fiber. And, oh my gosh. I get it now. You REALLY love your Dunkin’! “I Run On Dunkin” may have earned the title of the most popular Groovy Hues colorway of all time. I haven’t counted, but I’ll call it an unofficial top contender! I have made TWENTY more skeins on four different bases (five each! ), and these absolutely ARE *ready to ship*! I will not be able to make more of these for a live update until after spring fiber festivals are over, so go find your favorite, as they tend to sell out really fast. Really, really fast. Thanks so much, everyone! I hope you love what we have to offer this week! The shop is kind of bare as we prepare for spring festivals and trunk shows, but there is still plenty to be had. Don’t see something you covet? Never fear. There will be another large update as soon as I can manage it. 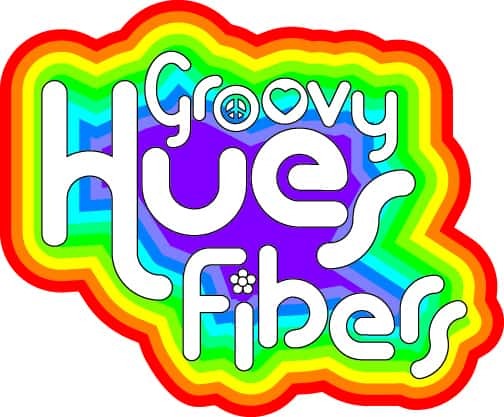 Head on over to the Groovy Hues website and see which skeins need a forever home! P.S. If you order ready-to-ship yarn between the dates of March 31 and April 7, they will ship on April 8. I will be eating my way through Munich, Germany, during that time and will not be home to ship yarn.